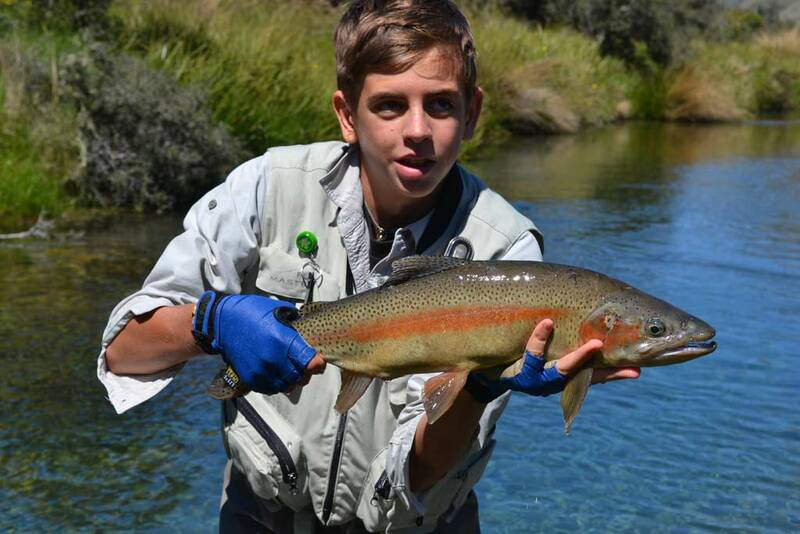 Back from New Caledonia for their annual pre-Christmas "fix" of kiwi trout fishing the Bernards were lucky to strike glorious weather, something which has been singularly lacking since the start of the season! 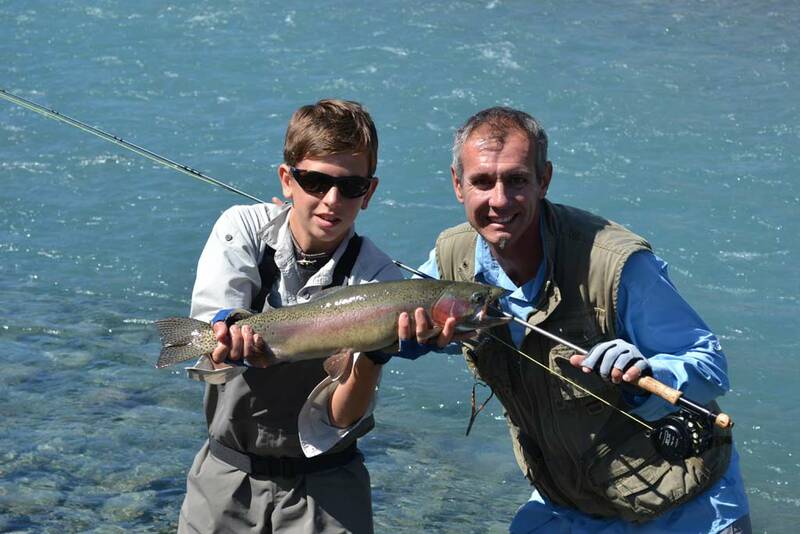 Young Lorenzo had his mum, dad, grandad and other members of the family with him this time and he duly impressed everyone (me included) with his skills. Some people are just "naturals" and this young man is in that category. 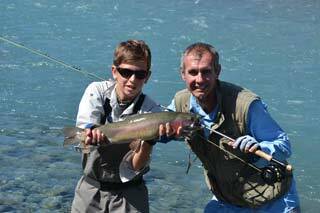 With our little army of hopeful anglers taking turns on the water it was Lorenzo's "duty" to tackle the difficult situations. I would explain what to do and a few minutes later a fish would be in the net. Well........ nearly always, I mean fishing is fishing! Dropping river levels, due to the lack of rain (el nino) and irrigation takes, are going to make for testing conditions in the weeks ahead unless there is significant precipitation. Today, as I write this, it is raining at long last and if it continues will make for a positive start to 2015. 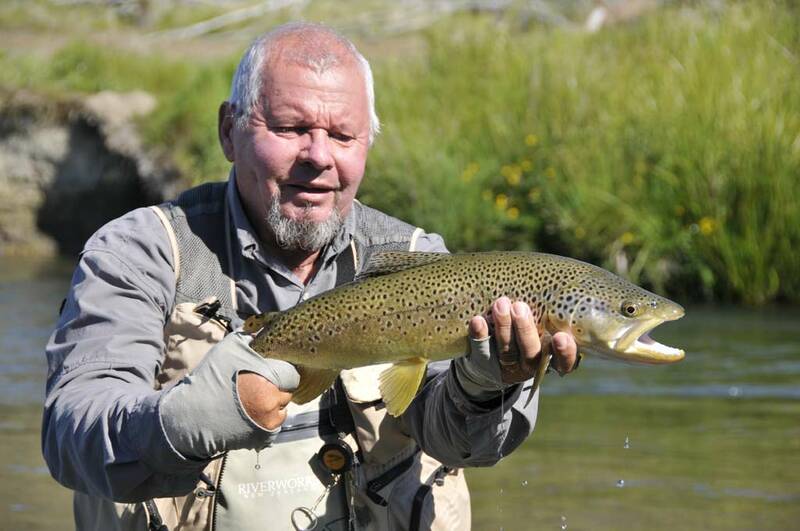 Alain with a lovely Brown trout Father and son happy together! 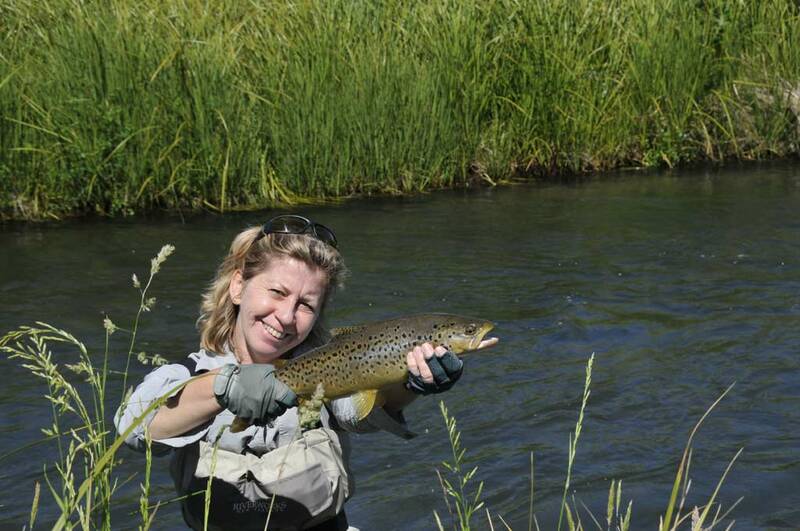 Sylvie with a nice brownie A morning cycle ride before fishing in the afternoon!